We were invited to spend a night in a B&B for National B&B week (the 18th to 24th of March). 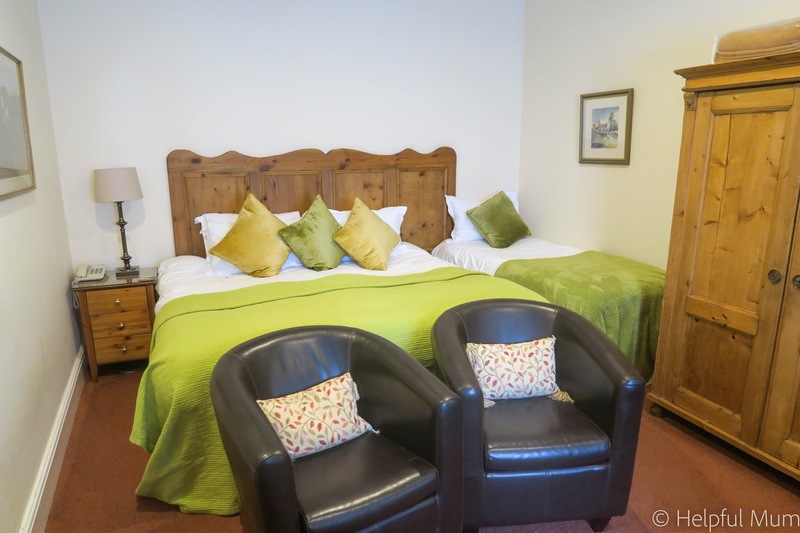 We didn't have to travel far, as we were offered a room in Newton House Hotel in nearby Knaresborough. We visit regularly, but have never thought to stay over before. We stayed in the old stables at the B&B. It was a very large room, with a king-size bed with a single next to it, and another single at the other end of the room. We wouldn't usually stay in the same room if it's possible, but this room was large and there was a corridor we could sit in when the children went to sleep. The room was slightly noisy, but that's because of the proximity to the road and was nothing a pair of earplugs didn't fix! We live in the middle of nowhere so are now really sensitive to noise when we sleep! The bathroom was large and had lovely fixtures and fittings, the shower was amazing! The hotel had a mini bar in each room and you paid for anything you used the next morning. Where this hotel excels is the breakfast, which was absolutely fabulous. 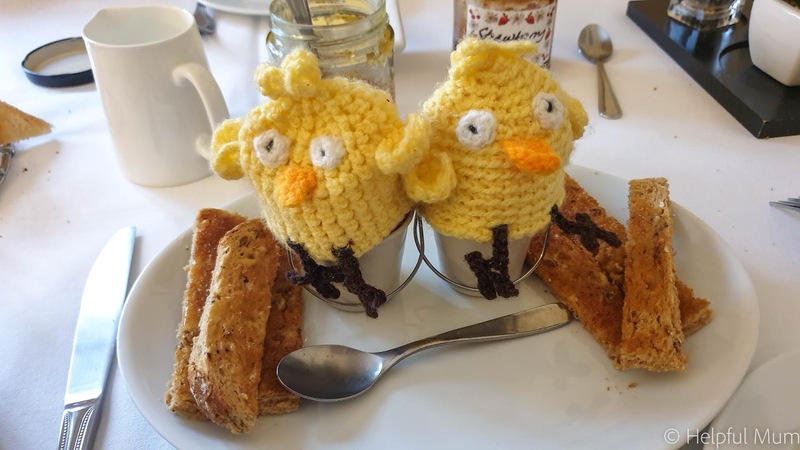 We loved the crocheted chicks on the boiled eggs! 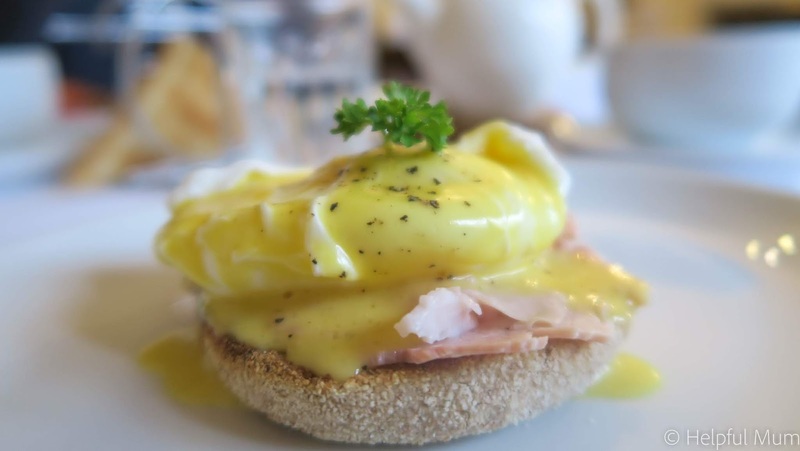 My eggs benedict was sensational, it's a huge treat as I probably only have it once a year! My husband said the full English was delicious. The Aga-baked plums were also really yummy. 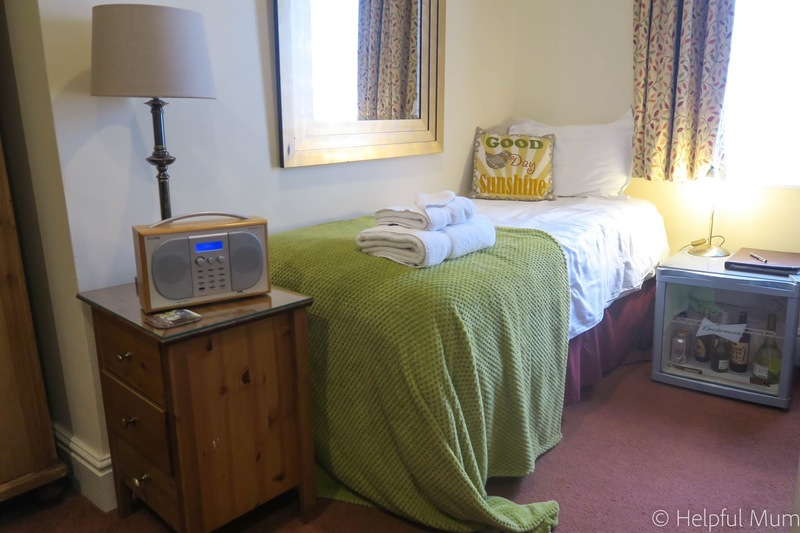 The location of the B&B is fabulous, it's only a couple of minutes walk into the centre of Knarsborough and there are plenty of shops and restaurants to eat in. 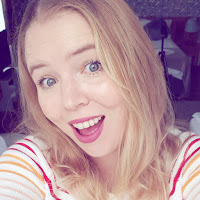 We found that on a Saturday night we struggled to find anywhere really family friendly, but we ate in Drakes, the fish and chip shop and it was really nice. The atmosphere was great and they didn't rush the meal at all. On Sunday lunchtime we ate at the Two Brothers Grill and Pizzeria and the food was brilliant. When we visited, children ate for only £1, which was amazing! 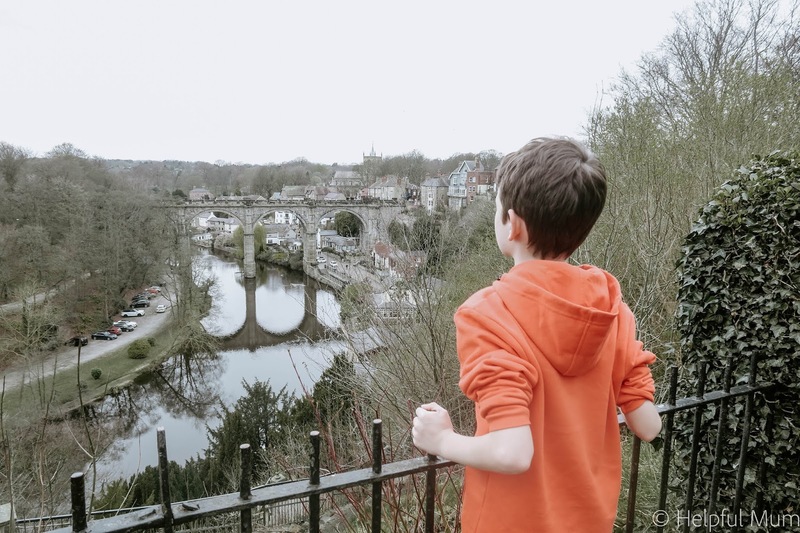 There is plenty to explore in Knaresborough and the surrounding area for families with children. 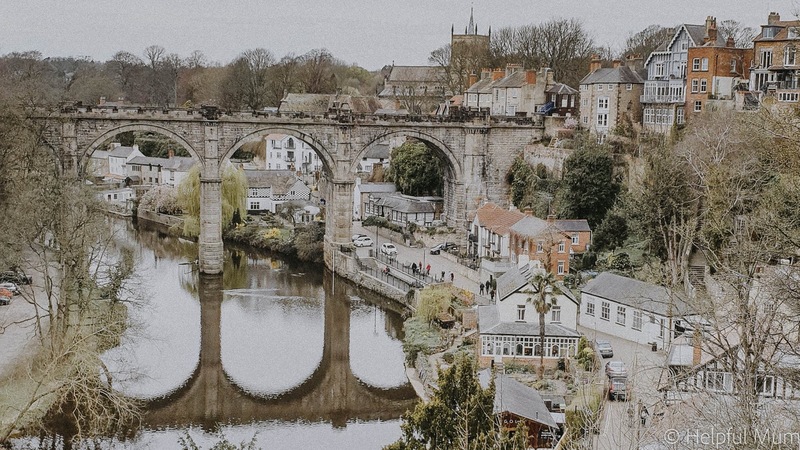 In Knaresborough itself is the castle, which is free to look around and has amazing views of the viaduct. There is also Mother Shipton's Cave, England's oldest attraction, which we ended up not having time to visit, but it is on our list of places to check out next time we're in the area. 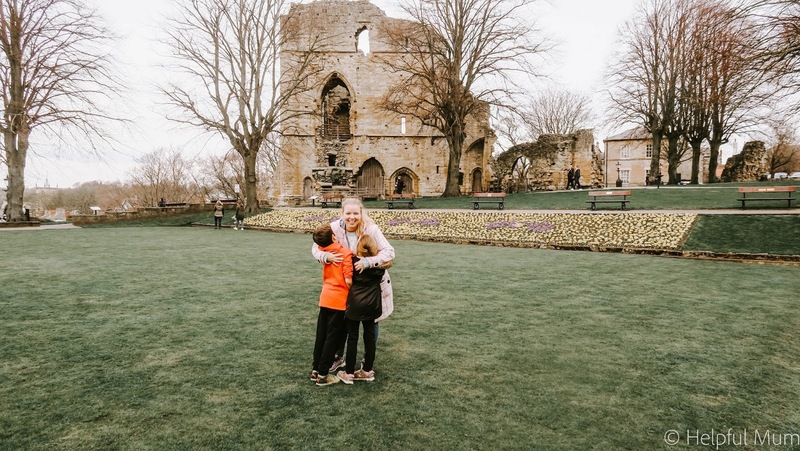 Heading slightly further afield there is Ripley Castle, which a a fabulous day out, and also Brimham Rocks are a wonderful place to let off steam! Huge thank to eviivo for arranging a night away for us. We had a wonderful time and it was nice to take some time out from running our own B&B before the season gets too hectic! Have a look at Newton House Hotel if you are ever needing accommodation in the Knaresborough area. Disclosure: We were provided with one night's accommodation for the purpose of this post. All opinion is my own.